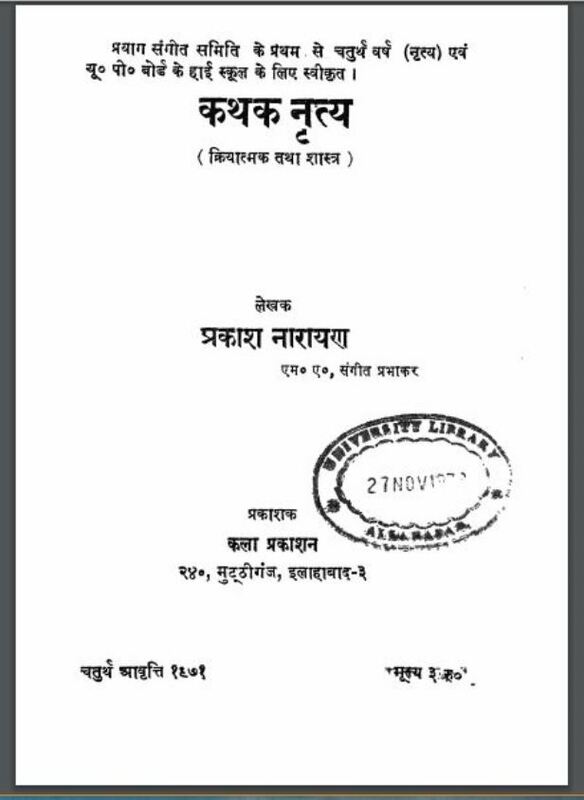 Description about eBook : I was very pleased to know that Shri Prakash Narayan wrote a book on Kathak dance. When the book was printed I also read it. The authors of this book have discussed both the classical and the creative aspects of Kathak dance in elaborate language. Many books are written on the singing and playing parts of Hindustani classical music and are being written…………….